Unfortunately, this year's Annual Roguelike Release Party happens without a release from me. Rogue Effect isn't quite ready for that yet. It is in a fairly good shape, however. In fact, just this week there was a big leap in progress as my simple level generation method turned out to create satisfactory maps with very little effort. I'd expect a release before the end of October. One could argue that I've had plenty of time to work on the game since the 7DRL Challenge was six months ago, and I don't disagree. But you know how this stuff goes; it's rarely that easy. So far Rogue Effect has been quite an interesting project to work on, though. 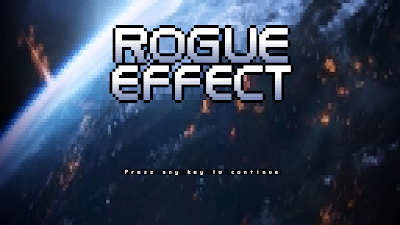 In the end, instead of doing a merely "inspired-by" game, I decided to recreate the actual Mass Effect 3 Multiplayer (solo) experience in turn-based roguelike format. Of course I have taken some liberties with stuff; a third person shooter is quite different from a 2D ascii game. But implementing the mechanics sure has been fun. I have even copied some unintended features like reload cancelling. That sure won't make sense to everyone. Not that the game will ever mention of its existence, though. I've also spend quite some time polishing the character and inventory screens, for which I've used ME3 as reference. They're pretty awesome, in my opinion. No screenshots before a release, though! Instead of 11 enemy waves, you will go through 11 map levels. The enemy composition will be based on the ME3MP's Silver difficulty against Cerberus. On levels 3, 6, and 10 there will also be an additional random objective, which will give you equipment based on the speed you completed it. The 11th level is of course where extraction happens and your goal is to survive until the shuttle arrives. I aim to have version 1.0 include all the classes and items from the "vanilla" multiplayer. All the DLC stuff might be added in later versions, but the original content is my main goal. The next thing I need to do is implement all the enemies and their AI, make the game progress through the levels, and probably add some menu stuff. After those are in, I will release the first alpha version. It will include only the human soldier class. The rest of the 11 player classes (no silly Battlefield 3 soldier) will be added later. Also, on a somewhat related note, it has been rather amusing to search info on some stuff as I occasionally stumble into a forum thread created before Mass Effect 3's release, written when only the demo was out. They're often positive and hopeful, whereas topics posted after all the ending controversy have quite a different tone on them. But yeah. Expect me when you see me, and such.